At the 2013 World Aesthetic Congress (WAC), Dr Mervyn Druian was presented with an award for his 30 year contribution to the field of dentistry. Not only was many a beauty editor happy that Mervyn had received such an accolade “That's great news and WELL deserved!! X” from Harper’s Bazaar and the Daily Mail: “That's great news. Please congratulate him from me.” but the main industry publication Dentistry ran a fantastic feature on Mervyn, entitled “Nice guy of cosmetic dentistry honoured”. 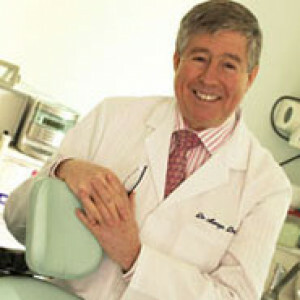 The dentist behind many recognisable, famous and beautiful smiles Mervyn has over 30 years of experience; and in 1983 he caused a phenomenon in UK dentistry, when he became the first UK dentist to introduce the practice of porcelain veneers. He was also the first to pioneer tooth whitening. Since then, Mervyn's cosmetic and aesthetic work has become world renowned and he frequently lectures and teaches around the world. Not only is Mervyn recognised by his peers as one of the leading innovators, he was also the principle dentist on Extreme Makeovers UK. Mervyn is a member of the British Academy of Cosmetic Dentistry (BACD) and is the current President of the Alpha Omega Dental Society. Only the second European dentist ever to hold this position. He is currently on the editorial board of Private Dentistry and Dental Aesthetics and is also on a number of advisory committees of the British Dental Association (BDA). Dr Mervyn Druian's work has also received one of the highest accolades, when he was placed on the distinguished American Academy of Cosmetic Dentistry's (AACD) Presidents Honour Role, one of very few dentists in the UK to receive such an honour.